We are a free and open source software project. We supply a C++ library of cryptographic algorithms and schemes. We've done so for the last 25 years or so. Unfortunately, Google did not tell us what the offensive content is (was? ), so we have no idea what needs to be cleaned. I don't have anything in my Inbox that looks offensive, and the last message was 13 hours ago. We've registered with the Encryption Coordinator in the US (and complied with other EAR requirements) so we can legally export our source code from the US. 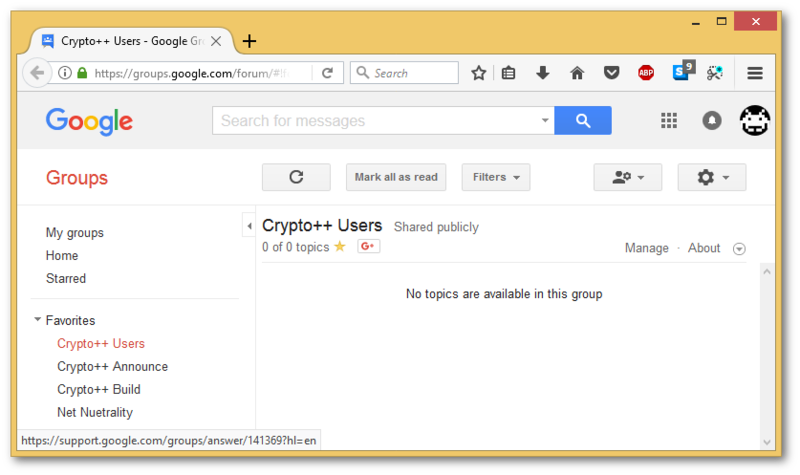 Loosely similar groups, like OpenSSL's Google Group, is still up and running (OpenSSL is not US-based, so it has fewer restrictions). Also note that I am not the group owner. Another fellow was the owner but he is no longer part of the project. I am a manager, but when I try to navigate to some screens I get an error, You do not have permission to access this content. (#171). The screens include everything under the Manage → Information tab, so I can't read any messages Google may have provided. My first question is, how do we determine what the content is (was? ), and how do we remove it? My second question is, how do we reinstate the 10 or 12 years or so of messages that have vanished? Browse other questions tagged google-groups or ask your own question. What is the most efficient way of having an entire Google Group edit a single Google document? 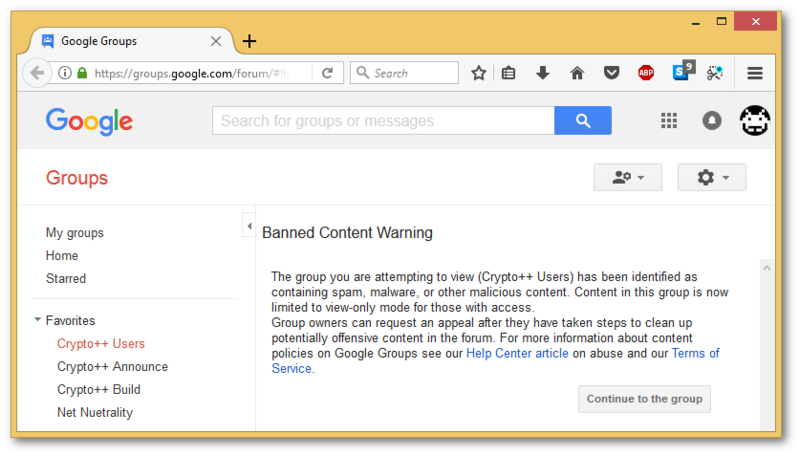 Is it possible to ban all attachments from a Google Group?